Welcome to Goodco Mechanical! Home of the Good Guys! Goodco Mechanical Inc., founded in 2008 by owner and president Scott Good, is the premier Commercial and Residential Mechanical Contractor in Central Pennsylvania. With 34 years of experience, Scott Good has greatly expanded his successful business across the Centre Region and surrounding counties to offer the services of Goodco to his loyal customers. In June of 2017, Goodco purchased Bovard Inc of Blair County from 3rd generation owner Jim Bovard. Bovard Heating & Cooling continues to provide the same quality, customer service it has for the past 59 years. We look forward to many successful years partnering with our customers throughout Central Pennsylvania handling all of their HVAC and plumbing needs. With a degree in Architectural Engineering from the Penn State University, Scott’s career began at one of the largest mechanical contracting businesses in the Washington, DC area. From there on, Scott worked for various contracting companies before deciding to start his own business in 2008. 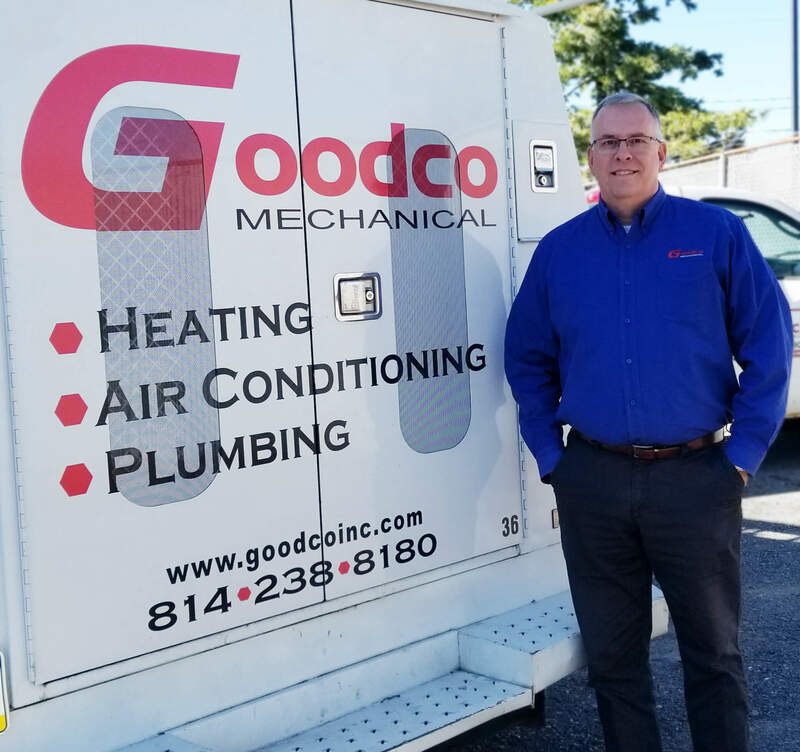 Now, Goodco Mechanical is one of the most employee and customer-focused businesses in State College, servicing residential and commercial clients, Scott’s passion for his work is visible through the organization’s great focus on customer satisfaction, and loyalty to its staff.